Exploring the universal theme of ‘attachment’, Prithvi Shrestha blends various dimensions of existence, from the physical to divine, as his subjects bubble with energy. Shrestha’s acrylic on canvas works take us on a journey of understanding various forms of attachment from the mundane to the spiritual, from personal possessions to life itself. Fifteen of these paintings created over the past year are now on display at the Siddhartha Art Gallery. Inspired by the natural and physical surroundings, Shrestha shows us manifestations of attachment and connectedness that we subconsciously have with everything else. Through themes of rituals, festivals, mythology, marriage and death, the artist expresses oneness — and how we long for it, even after life ends. “Everything is connected, whether we consciously realise it or not. The actions of one affects all. And because everything is essentially connected through energy, there is attachment,” explains Shrestha, whose calm and serene persona is reflected in his paintings, all of which exude softness and gentleness. Shrestha examines the delicate balance and inherent attachment we have with nature, culture, rituals, interactions and the increasing intrusion of technology that has seeped into and changed every aspect of our real and virtual worlds. 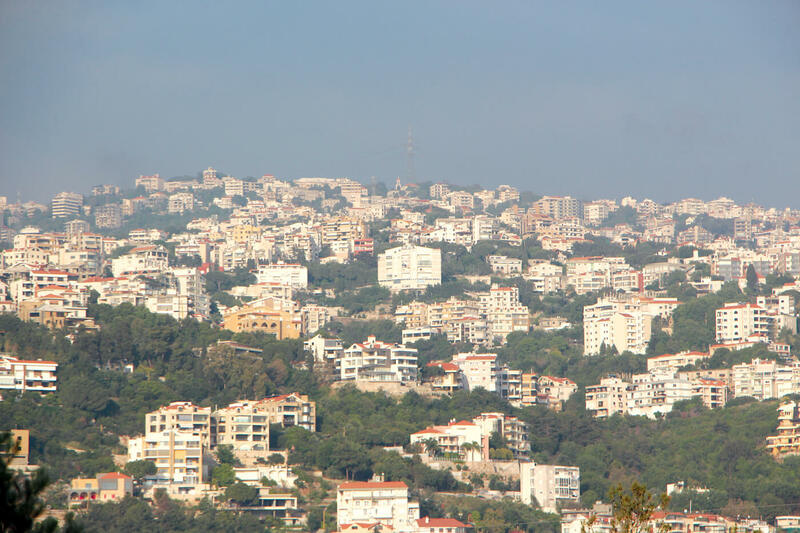 “Our lives used to revolve around god, nature and culture, out of which sprang everything else. But now, technology has entered this space. We humans are now adjusting to this new element which has changed traditional ways of interaction,” Shrestha says, pointing to a painting titled ‘My Animal Self’. 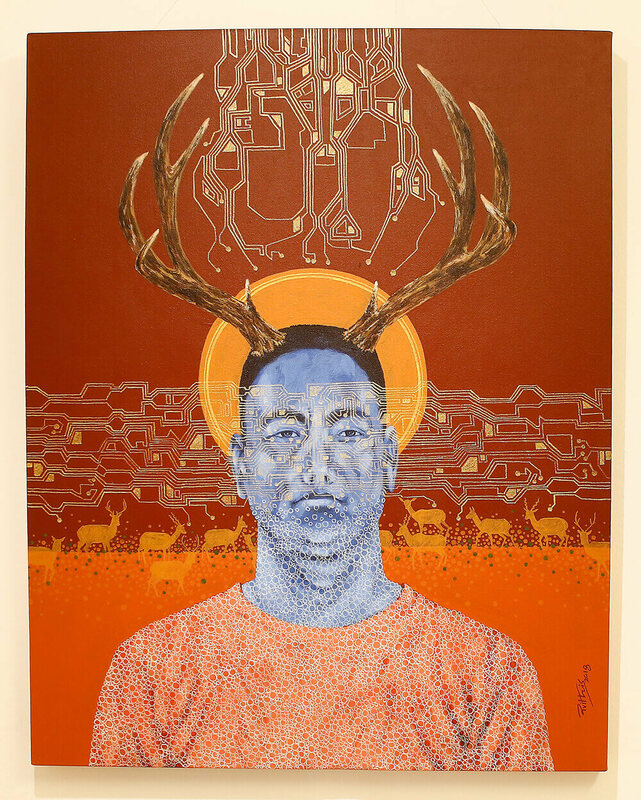 In it, the artist depicts himself with antlers and there are deer in the background – all symbols of how technology impacts our everyday lives. Every painting has the physical presence of a body in the form of animals and humans, the energy body through bubbles of power surrounding the figures, and a symbolic circuit board depicting the ever pervasive reach of information technology. ‘Attachment’ is Shrestha’s fifth solo exhibition after seven years, and in that time he has been busy with numerous group exhibitions, workshops and performances, travelling within Nepal and abroad. Prithvi’s art titled ‘My Animal Self’. 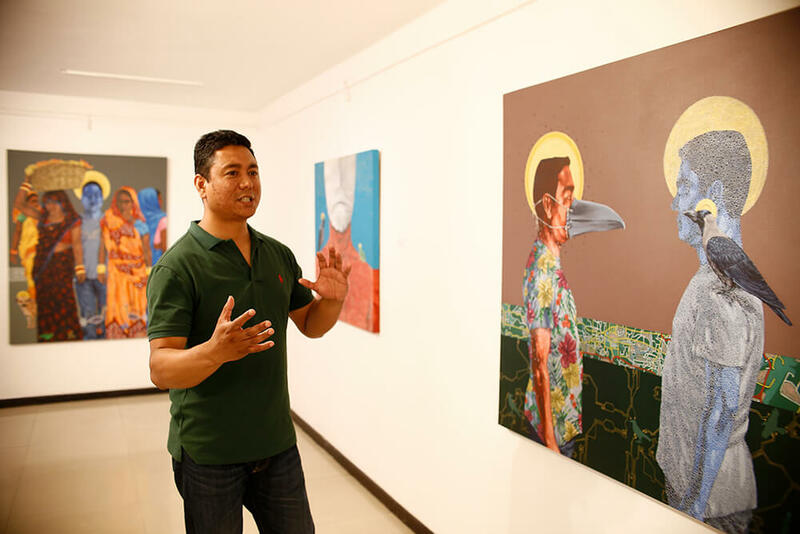 A student of fine arts from Tribhuvan University, Shrestha says he was inspired by his exposure to Japanese art culture during his college years, which fuelled his drive to create and cultivate a rich art culture in his own country. 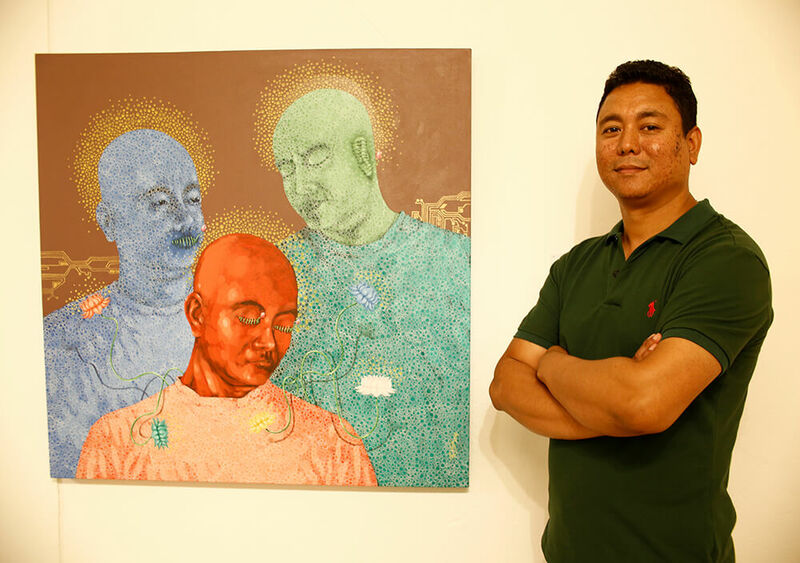 Shrestha was the first recipient of the Himalayan Light Art Scholarship which made his current exhibition possible. 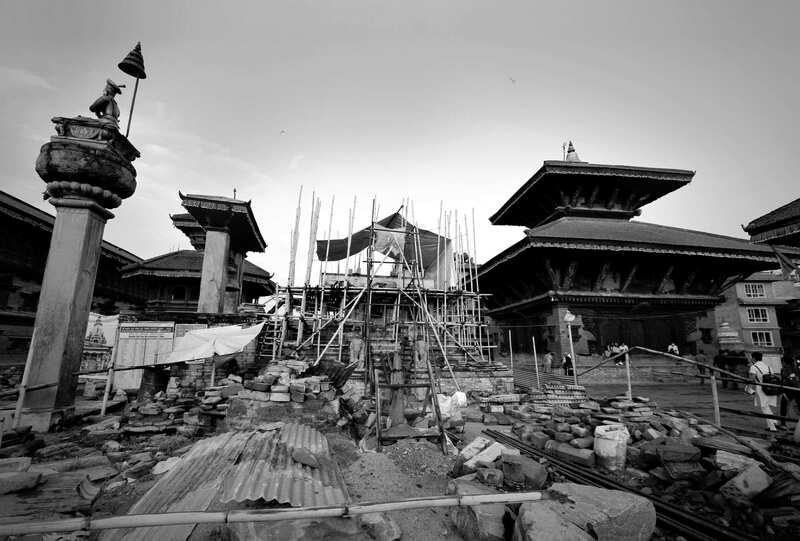 The scholarship is sponsored by Chinese artist Zhao Jianqiu who was greatly impressed by Nepali artists during his 2015 visit and exhibition in Nepal. He established the scholarship in collaboration with the Siddhartha Arts Foundation.